When Chinggis Khaan decided to move his capital to Kharakhorum, he was well aware that the region had already been capital to successive nomad empires. About 20km north-east of Khar Balgas (as the crow flies) lies the remainder of yet another of these pre-Mongol empires, the Turkic khaganate. 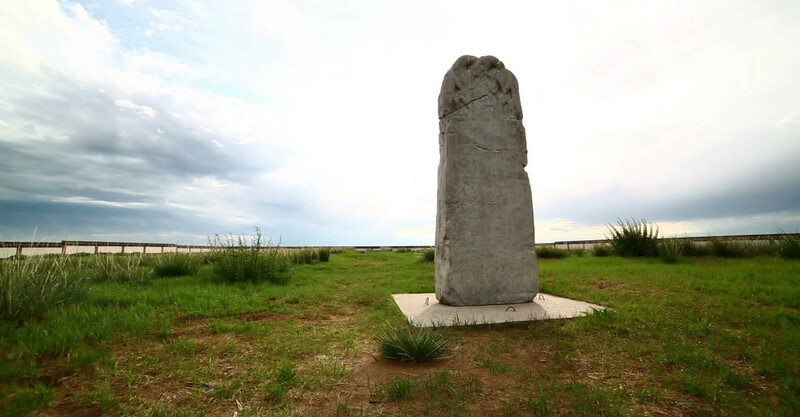 All that's left of the khaganate is the 3m-high inscribed monument of Kulteg (684-731), the khagan (ruler) himself. The monument was raised in AD 732 and is inscribed in Runic and Chinese script. You can see a copy of the stele in the entrance of the National Museum of Mongolian History. Just over 1km away is another monument to Bilge Khagan (683-734), younger brother of Kulteg. Ten years after the death of Bilge the Turkic khaganate was overrun by the Uighurs.